sette stagioni dello spirito – controracconto (seven seasons of the spirit – counter tale) is a film by Gian Maria Tosatti documenting a project he carried out from 2013 to 2016, which encompassed the entire city of Naples, Italy. 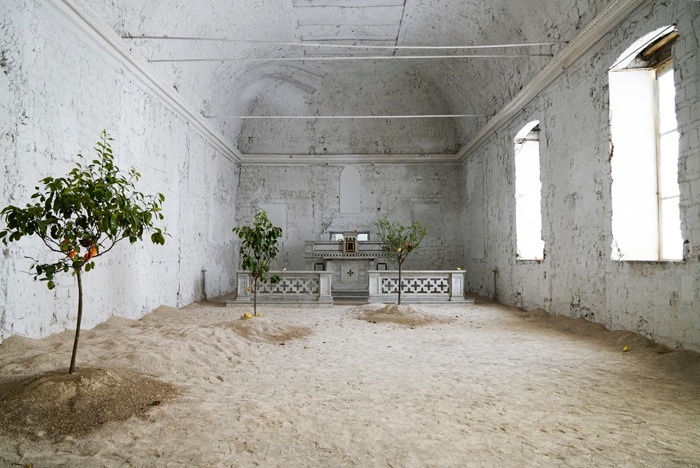 Tosatti used Naples as a stage for interventions that were in the form of environmental installations — a site could look as if it was untouched, and abandoned by humans, while in fact it was entirely constructed by the artist. A surreal twist would typically be incorporated into the setting: several rooms in a hallway will look exactly the same, but differ slightly, creating an underlying tension within the viewers’ unconsciousness. Through this project, Tosatti redefined the relationship between art and community. The artwork was integrated into the city in an almost unnoticed way, unconsciously affecting the people of Naples as they were going about their everyday life. 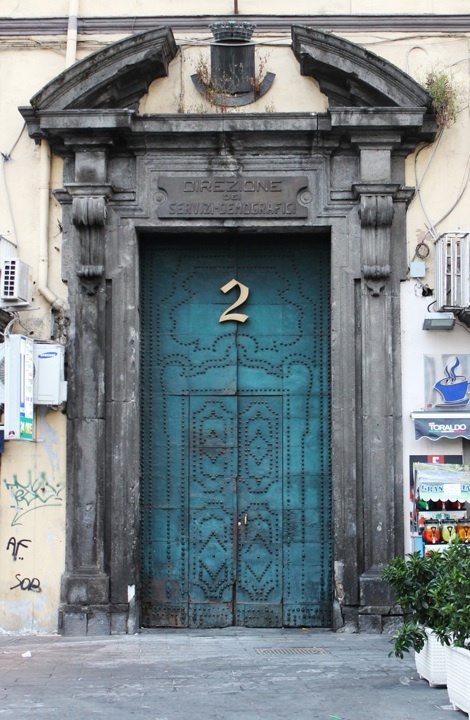 Naples became the ground for Tosatti to explore the concepts of good and evil inspired by the book The Interior Castle (1577), in which St. Teresa of Avila divides the human spirit into seven chambers. The citizens of Naples became the performers of the artwork by wandering around the city, and engaging in the seven different sites of intervention. The journey between the sites posed a narrative that questioned the viewers’ ethical responsibility toward the city of Naples, highlighting some of its problematic history. 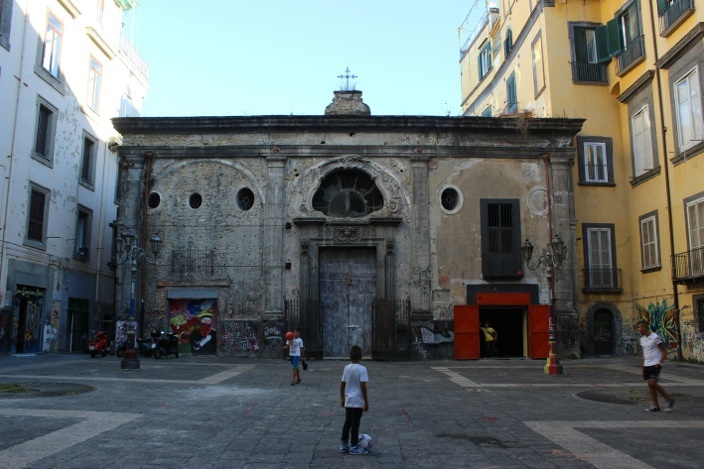 sette stagioni dello spirito enabled the reinvention of different abandoned historical sites, allowing for a new engagement to take place between the site and the residents of Naples. The buildings that were involved in the project were refurbished, and given back to the institutions to which they belonged with a new energy that allowed them to be culturally useful, rather than commercialized and gentrified. This project was visited by over 25,000 people. Below are the seven different sites of the project, each given a name that references the different stages between good and evil that Tosatti explored in his research, and connected to the specific site according to its history. 1. The Plague (Church of SS. Cosma and Damiano ai Banchi Nuovi) addressed the issue of ignorance as the most serious disease of the spirit. 2. Summer (former Municipal Registry in Piazza Dante) focused on the principle of inertia as the main cause of dissolution. 3. Lucifer (former General Warehouses of the Port of Naples) explored the complexity of the concept of error. 4. Homecoming (former Military Hospital) concentrated on the theme of salvation. 5. The Fundamentals of Light (former Convent of Santa Maria della Fede) investigated the concept of searching for the truth. 6. Miracle (former factory in the Forcella district) instituted a true practice of goodness. 7. Earth of the Last Heaven (Church of the Santissima Trinità delle Monache, Via Santa Lucia al Monte, at the corner with Via Pasquale Scura) referenced humanity’s ultimate destiny. Tosatti’s film is presented as part of the Workspace 2016 exhibition series, featuring the work of LES Studio Program artist-in-residents. Gian Maria Tosatti (Roma, 16.04.1980) made his first steps in 2002 at the Centre for Theatrical Research and Experimentation of Pontedera working on performances. 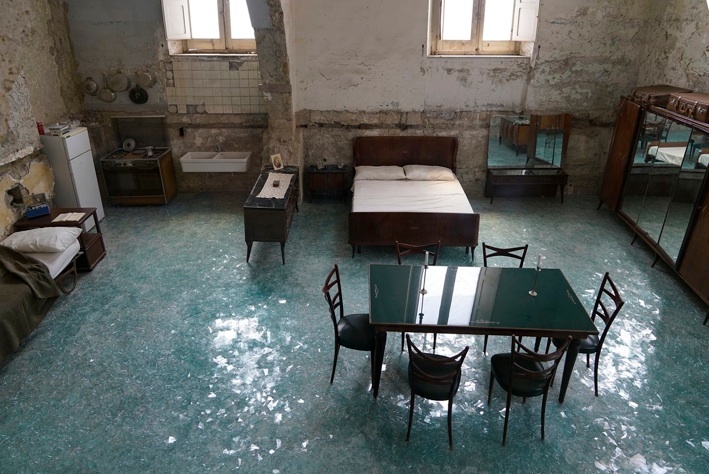 In 2005 Tosatti moved to Rome to undertake an artistic research between architecture and visual arts which inspired all subsequent works resulting in site specific installations. In addition, two projects came out of this: «Devozioni» and «Landscapes», undertook in collaboration with Fondazione Volume!. The first is a cycle of ten works for specific architectural spaces of Rome, the second is a project of public art in areas in which acts an urban conflict. Gian Maria Tosatti is currently working on two new projects, «Fondamenta», based on the identification of contemporary age archetypes and «Le considerazioni…» dedicated to the aenigmas of personal memories and to the traces that human beings leave behind them. Between 2013 and 2016 his research have been focused on a work which has embodied the whole city of Naples. It’s title is “Sette Stagioni dello Spirito” (Seven Seasons of the Spirit). It have been a triennial project in collaboration with Lia Rumma Gallery, Fondazione Morra, MADRe museum and all the institutions of the city. Tosatti is also a journalist. He had been editor chief of the weekly cultural newspaper «La Differenza» and has collaborated with several italian newspapers and magazines as columnist. In 2011 he curated the project RELOAD, prototype of cultural urban intervention about the temporary use of improductive spaces (www.reloadroma.it) and since 2013 he’s founder of the project “La costruzione di una cosmologia” (www.unacosmologia.com). His work have been shown at the Hessel Museum of CCS BARD (New York – 2014), the LMCC (New York – 2011), American Academy in Rome (Roma – 2013), Museo Villa Croce (Genova – 2012) Andrew Freedman Home (New York – 2012), Tenuta dello Scompiglio (Lucca – 2012), Palazzo delle Esposizioni (Roma – 2008), Chelsea Art Museum (New York – 2009), BJCEM (2014), Centrale Montemartini – Musei Capitolini (Roma – 2007), Casa Testori (Milano – 2014), MAAM (Roma, 2011), Castel Sant’Elmo (Napoli). Cuchifritos Gallery + Project Space is a program of Artists Alliance Inc., a 501c3 not for profit organization located on the Lower East Side of New York City within the Clemente Soto Vélez Cultural and Educational Center. Cuchifritos is supported in part by the New York City Department of Cultural Affairs in partnership with the City Council. This program is made possible by public funds from the New York State Council on the Arts with the support of Governor Andrew M. Cuomo and the New York State Legislature and the National Endowment for the Arts. We thank the following for their generous support: New York City Economic Development Corporation and individual supporters of Artists Alliance Inc. Special thanks go to our team of dedicated volunteers, without whom this program would not be possible. For more information, visit artistsallianceinc.org.